Dave and I are excited to bring you our latest Pixels & Ink Episode where you’ll hear Sairam Krishnan and Kalpak Bhinde from PushCrew explain how marketers can leverage Push Notifications, a somewhat new yet extremely useful technology, to communicate in real time with people who are interested in their products, services, or content. With Push Notifications, you can push information to your subscribers in the form of small clickable messages that slide onto one’s browser or mobile device. Not only are Push Notifications extremely effective, but they’re even easier to start sending — listen to the Episode below to learn why you should be using them in your marketing and the exact steps you need to take to get started. The entire process only takes about 5 minutes and PushCrew even gave Pixels & Ink Listeners a discount code, so get started today to immediately begin communicating with your subscribers! Let’s first look at it from the marketees perspective: Imagine being able to directly be notified when your favorite brand is having a flash sale, or when a new post is published on your favorite blog, or even when a new podcast Episode comes out from your a podcast you love — hopefully Pixels & Ink. Upon visitng a site that you frequent, you would be sent a message asking if you want to subscribe to receive Push Notifications. If you’re interested in the product/service/content, you have the ability to say yes and to opt in. Upon subscribing, you can now be greeted with little notifications, called Push Notifications, throughout your day with different messages from your favorite brands or sites. In essence, this gives you the marketee a way that you can consume information from people and brands that you like. Now from the marketers perspective: Push Notifications give you a new and direct way to communicate with your audience outside some of the more crowded channels like email. Let’s say you publish a new blog post, or are discounting some products, or are running a contest, or are hosting an event, you have the ability to send a short clickable message to everyone who has subscribed. Now that you know what they are, let’s take a look at why you should care. Push Notifications are relatively new and are a MUCH less crowded channel compared to some of the others such as Email. Most importantly, the engagement results are incredible and far above some of the other channels we as marketers use to reach our audience. In the Episode, we take you through typical engagement data from opt-in rates to click through rates and we also tell you the results we’re seeing here at MindFire. Just to give you a teaser: the average Click Through Rate (CTR) of Push Notifications is over 3X better than the CTR’s of email! Regardless if you (or your customers) are in B2B or B2c, you do not want to miss a chance to learn how all about how you can leverage Push Notifications to cut through the clutter and reach your audience, so make sure to tune in! Want to get in touch with Sairam or Kalpak at PushCrew? Head over to their website, and make sure to use the special Pixels & Ink promotion code PI10 get 10% off when you sign up! Thank you PushCrew for that!! 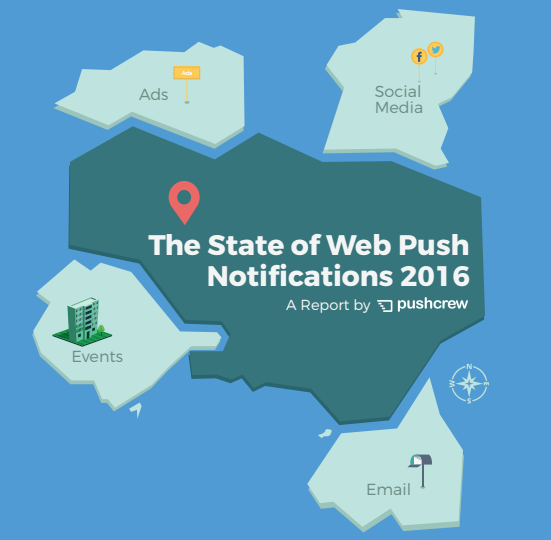 Want to learn more about Push Notifications?